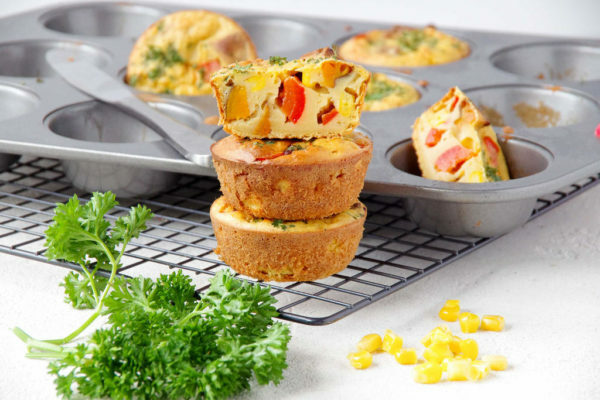 These are just perfect for anyone with allergies to eggs but are awesome for everyone – they have the same egg-like texture and yellow colour. 100% gluten free and packed full of protein (chickpea flour has more protein per 100g than cooked eggs!! 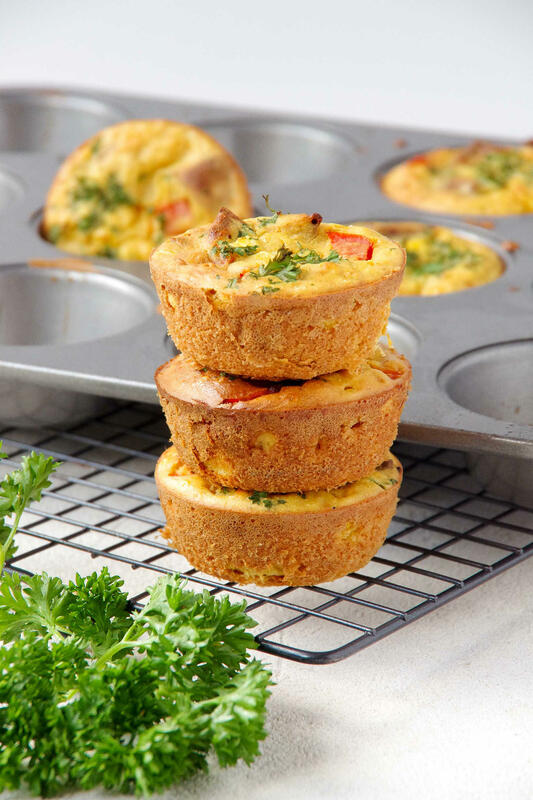 ), they freeze beautifully and are a perfect lunch box filler or fast breakfast on-the-go. 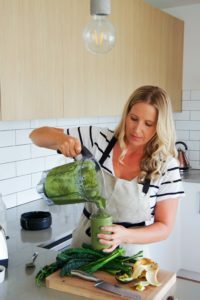 You can actually pour this into a quiche dish too and make one big frittata to slice up cold for a family picnic or to eat warm with a side salad and some wedges. 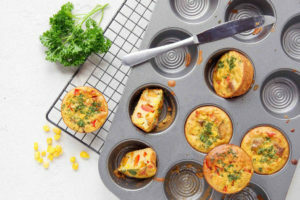 You can substitute the veggies in these frittatas for whatever you have in the fridge, so this recipe is very versatile. I’ve tried it with grated zucchini (make sure you squeeze out the water content), chopped kale and red onion and they were delicious! Let me know f you give them a try! On to the recipe…. A great protein-packed alternative to egg frittatas, that work brilliantly in the lunch box or as a quick breakfast on-the-go! Preheat the oven to 180 degrees and line a 12 hole muffin tin with liners or grease well. 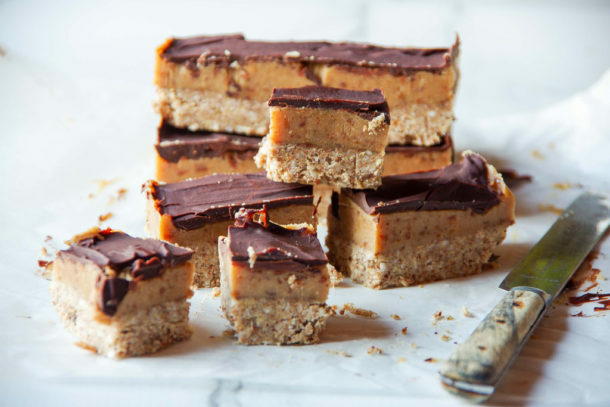 In a large bowl, combine flour, nutritional yeast, baking powder and water and whisk to combine. Ensure there are no lumps. 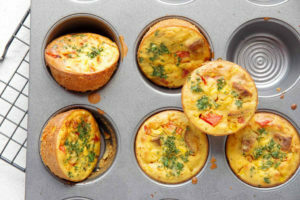 Dice kumara and capsicum, then add these and the corn to the muffin tin so each muffin has an even amount of filling. 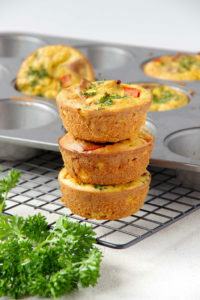 Use a soup ladle and pour the chickpea flour mixture (which will be very runny) into each muffin hole until mixture is used up. Transfer tray to the oven and cook on FAN BAKE for 22 minutes (30-35 mins on bake). Remove from the oven and use a knife to gently remove from the liners/tray. Eat immediately, or store in a glass container in the fridge for up to 3 days. These freeze well and are easy to heat up for an easy protein packed breakfast. Made these for my lunch next week. I added a bit of curry powder, they are lovely.I will be looking forward to lunch everyday.